Item # 315973 Stash Points: 5,495 (?) This is the number of points you get in The Zumiez Stash for purchasing this item. Stash points are redeemable for exclusive rewards only available to Zumiez Stash members. To redeem your points check out the rewards catalog on thestash.zumiez.com. 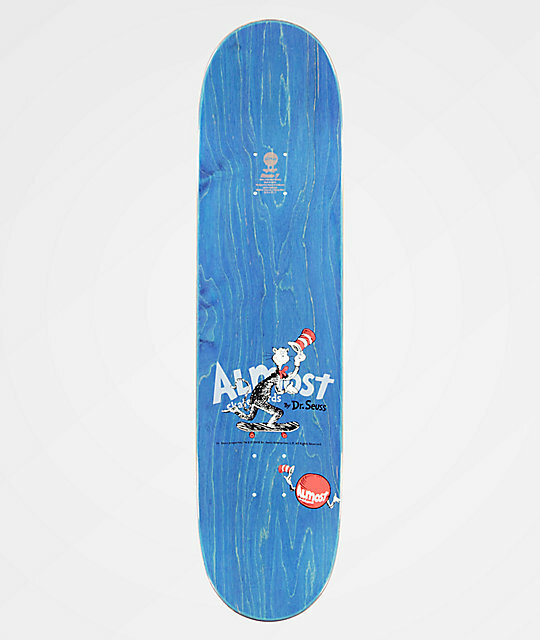 If skating's your passion, if skating's your muse, put the Almost x Dr. Seuss Yuri R7 8.0" Skateboard Deck beneath your shoes. With moderate concave flip tricks stand no chance, you'll be popping and flicking around in a trance. Tapered kick tails cut weight and their pitch gives big ollies, or even better, have you popping nollies. So step up your skating from the park to the street because the ride of this board just can't be beat. 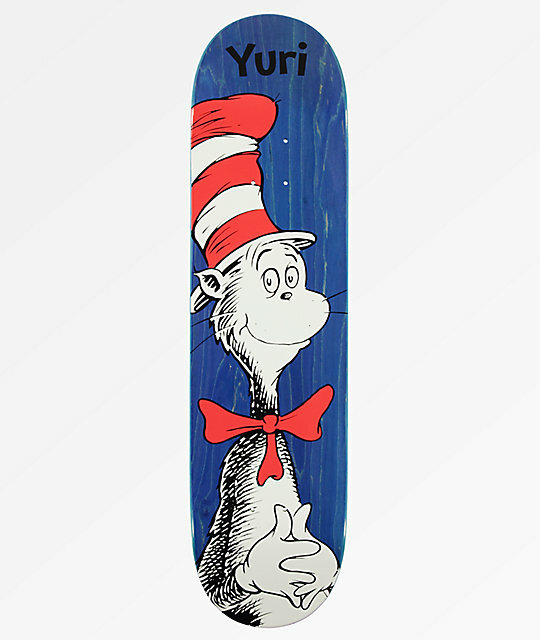 Yuri R7 8.0" Skateboard Deck from Almost x Dr Seuss. Signature Yuri Facchini pro model.